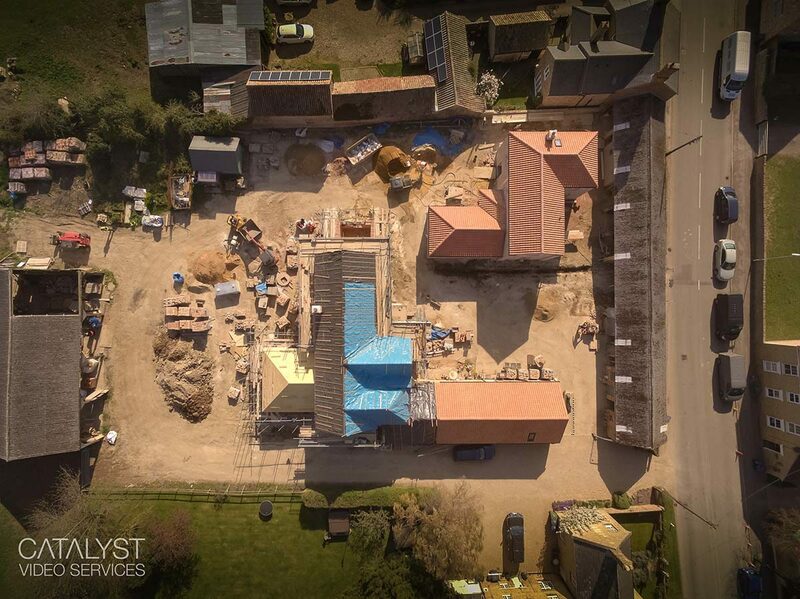 Home → Home page latest news → What’s happening at Laurel Farm? 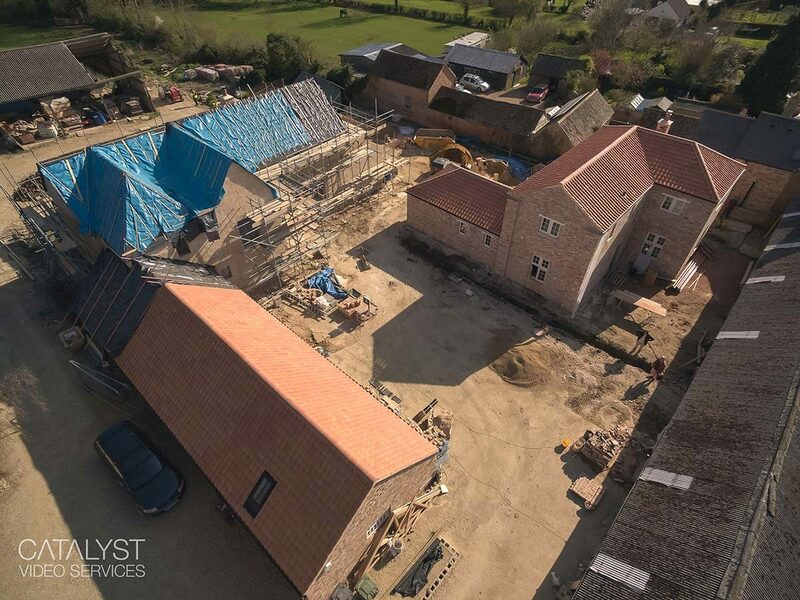 Over the past 18 months you might have noticed building work happening at 74 Main St., Great Gidding – previously Laurel Farm. 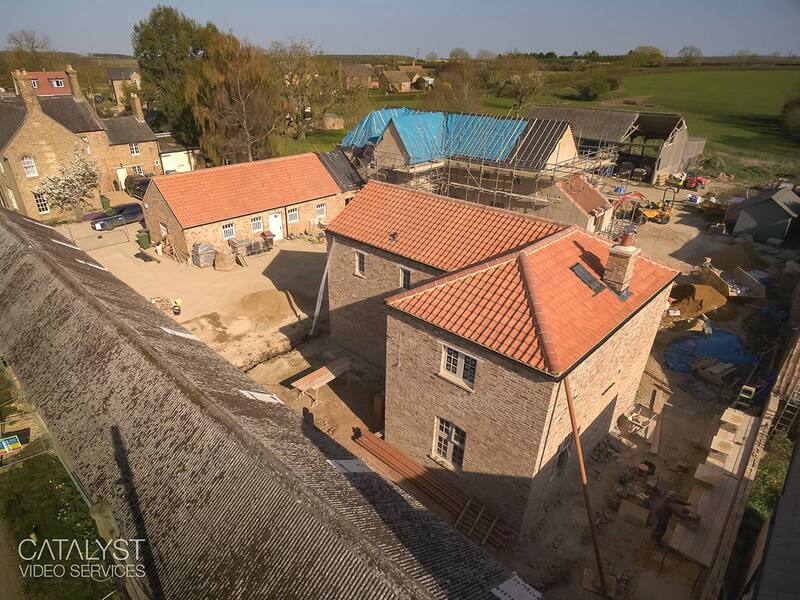 Jan and Margaret have been busy designing and building their own home and office and a further property that will eventually be rented out by Fitzwilliam Estate. 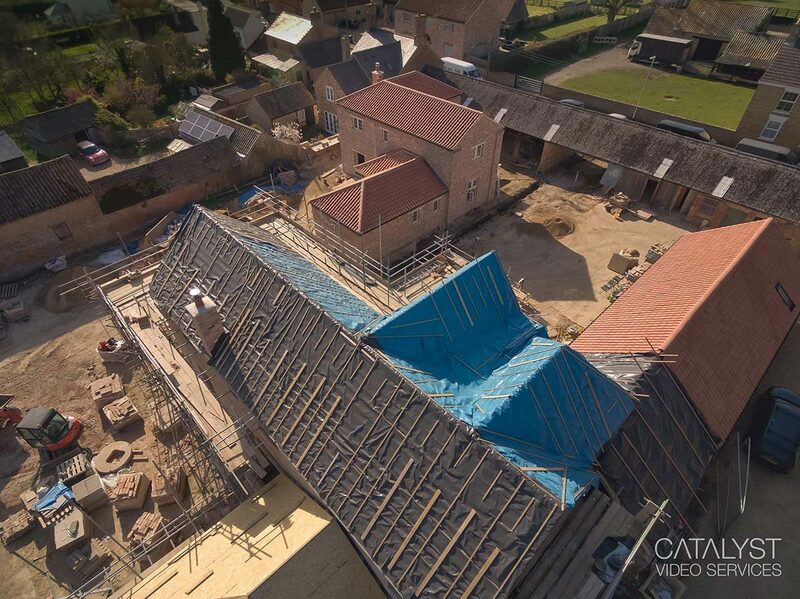 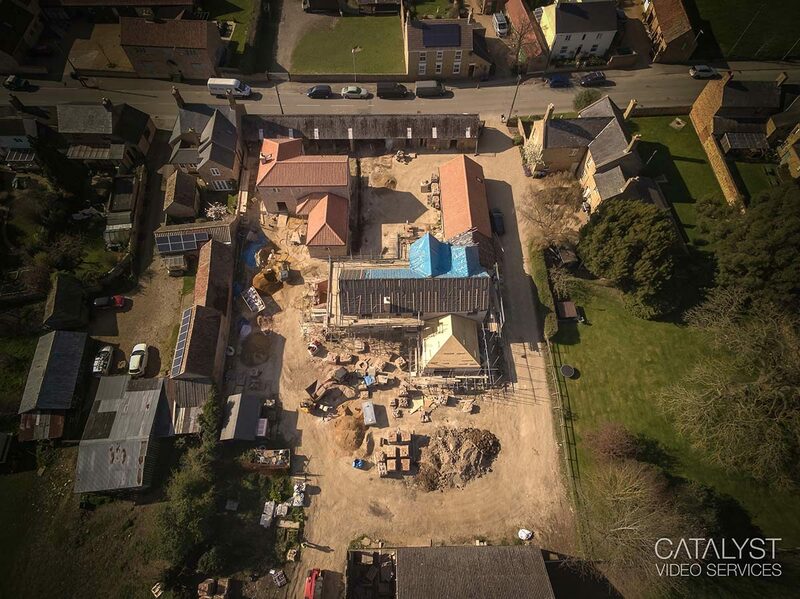 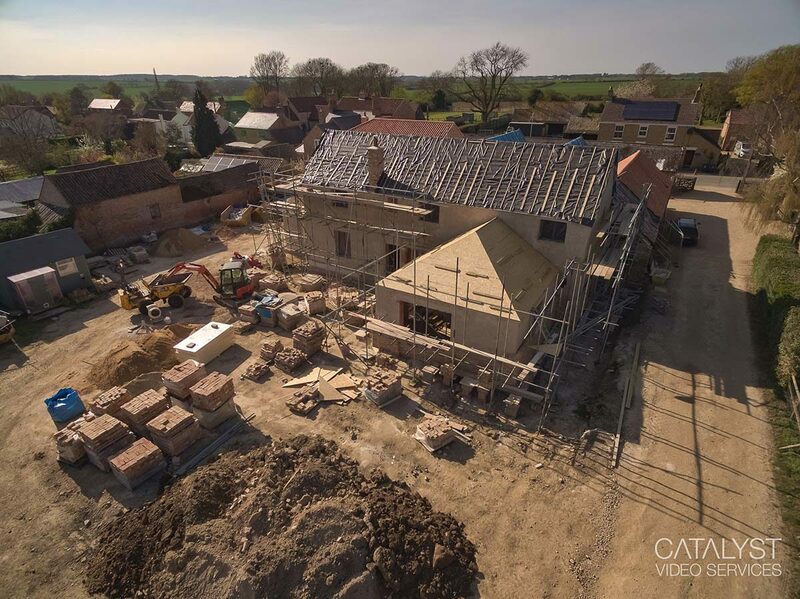 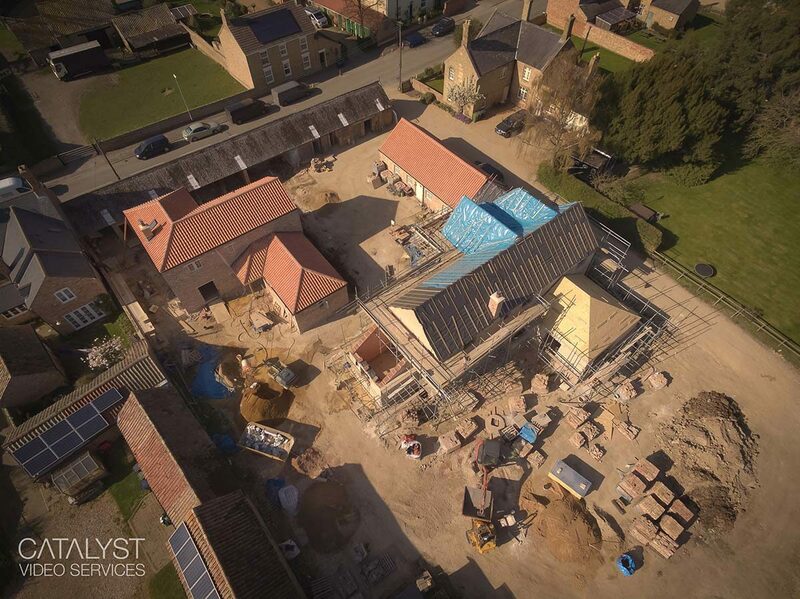 Here’s a few aerial photographs taken by Catalyst Video Services for Jan Maciag at Folium Architects.